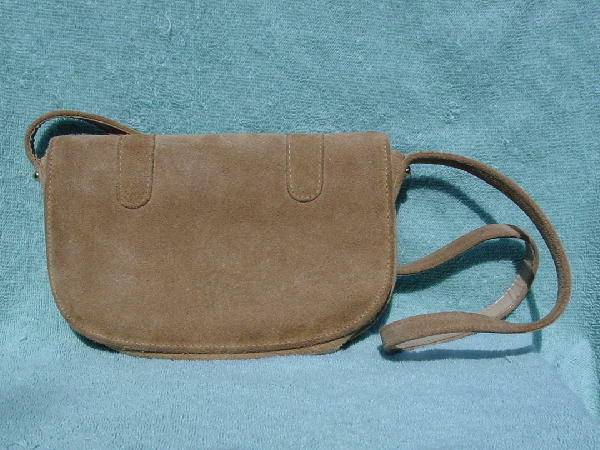 This vintage suede purse had been sitting in a model's closet for way too many years and it was vintage when she bought it. She kept it wrapped. 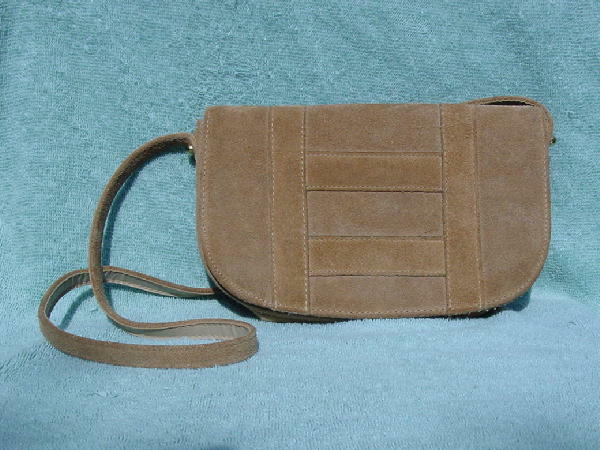 There are 1" suede strips forming a pattern on the existing suede front flap. It has a snap closure, red-tan brushed cotton lining, an interior zipper compartment, and a 36" shoulder strap. Two gold-tone rivets attach the strap to the purse on each side. It adds just the right look to anything denim.